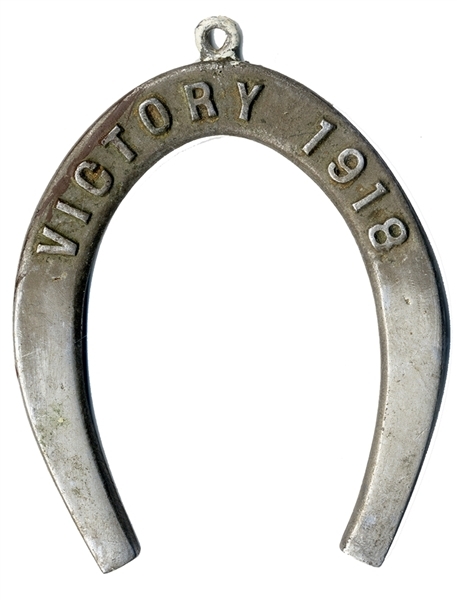 4-1/4” x 5”, with words “VICTORY 1918 across the top and an eyeley for hanging. Light metal, VG. (formerly Rex Stark inventory).